The title of a TEDxTalks video recently caught my attention: If you want to achieve your goals, don’t focus on them. I think it is rather common that students are engaged in setting goals for increased learning outcomes without clearly identifying and committing to the behaviors that would create the achievement of the goal. I witnessed an example when I met with elementary students who shared their writing folders with me. The students were able to identify how a piece of their writing scored on the grade level rubric and describe their goal for improvement. I then asked the student what he would do to improve punctuation accuracy and gain increased variety of vocabulary. I found that the student had no idea. A goal he could tell you and the ability to identify with the rubric when he achieved it, but no identification of what he should do (behaviors) to cause the goal to be achieved. *Ask your teacher for a list of places that commas should be used. When you finish a first draft, use the list and check for places you have missed using a comma. If you do this repeatedly, you will learn to use commas correctly as you write and notice them missing when you proof-read. * Give your draft to a friend and ask them to highlight three words they think you could replace with a more interesting word. Identify new words to use (maybe using a thesaurus). Give that draft to another peer and repeat the process. These experiences will lead to you thinking about word choices while writing and when proof-reading. The backwards planning process that I focus on when working in schools is built on identifying and practicing the behaviors of students, teachers, and leaders to gain the desired student achievement. 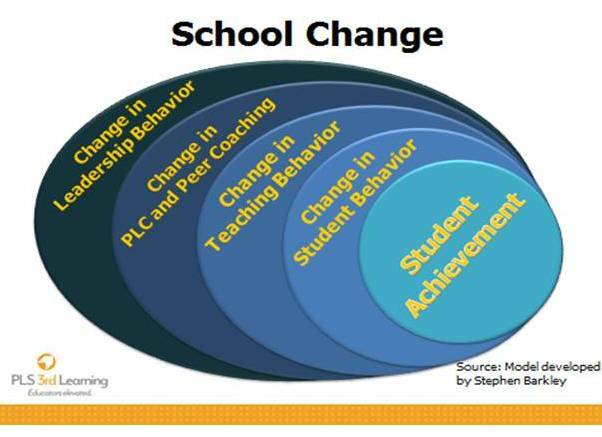 Much of the work to be done in PLC’s is the identification of the student behaviors that will cause the desired outcomes, and then identifying the teacher behaviors that are likely to initiate and maintain the student behaviors. Students become empowered when they learn the connection between desired goals and production behaviors. An assignment from my teacher is easier to invest in completing when I am aware of the production behaviors it’s designed to generate and how that connects to the goal. I believe learning the connections of behaviors to goals may be one of the most important learnings for students’ future success. How clearly do your students understand the connection between behaviors and outcome goals? What do you use as indicators to judge their understandings? How much coaching assistance do students need to identify the behaviors that will lead to goal attainment? What ways do you build students’ understanding that they control (can decide) to invest in the behaviors? Are students tracking their behaviors and getting feedback on the behaviors as well as on the outcomes? When/how do students self-assess/reflect on their execution of identified behaviors? Rivers suggests a focus on today, tomorrow, and next week. 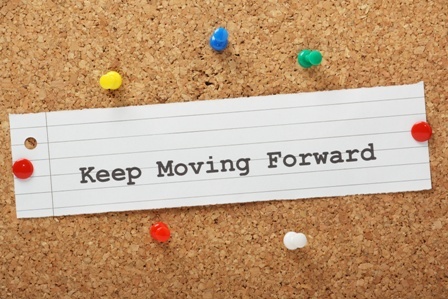 What can I do today and tomorrow (behaviors) to achieve the goal…what can I do next week?